Hazelnut growers in the country have been left disappointed with the trees not bearing fruits. The Mountain Hazelnut Venture Private Limited has come up with a solution. The project is initiating summer chip budding to improve fruit bearing ability of the hazelnut trees. Chip budding is a form of grafting. The process involves joining together buds from a male tree with that of female tree. 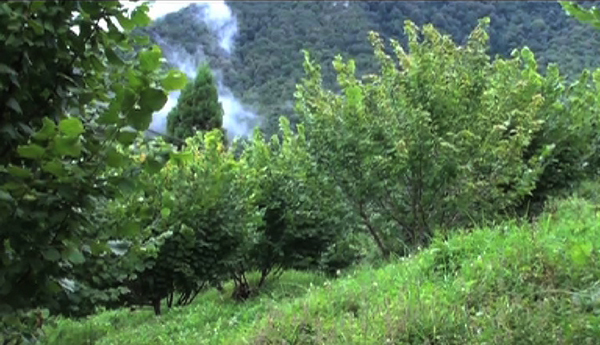 A research and development officer with the Mountain Hazelnut Venture Private Limited, Loday, said the process will help enhance pollination. “The catkins will sprout after few years and shedding them will produce smoke-like pollens of cloud in the fields, which will be taken by receptive female flowers or production trees,” Loday said. An official from the company said the trees should start bearing nuts after three to four years. 66-year old Kinley from Ramjar in Trashi Yangtse ventured into hazelnut plantation six years ago. He has planted over 180 trees. But the trees did not fruit well. He harvested barely three kilograms of hazelnuts last year, which earned him only a meagre Nu 500. The harvest improved significantly this time. He reaped 30 kilograms. Kinley has done chip budding already and is hoping to see the trees fruit exceptionally well in the coming years. “Hopes are high now. I am looking forward to seeing my trees bear more fruits,” Kinley said. The summer chip budding has been done on more than 20,000 tress in the eastern and central parts of the country. In a plantation, at least 16 per cent of the trees have to be male trees to ensure better fruiting. Experts say a well-grown tree ideally should be able to produce 4 to 10 kilograms of nuts per harvest. 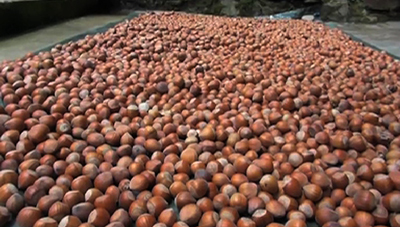 Currently, farmers in 18 dzongkhags grow hazelnuts as an alternative cash crop.